FOUND! Collector Bags of Vintage 90% Silver Mercury Dimes! One of the most famous songs of the Great Depression centers around the plea: Brother, can you spare a dime? That one question sums up the plight and the opportunity represented by securing these bags of what many believe to be the most beautiful U.S. coin ever minted: the 90% silver Mercury Dime. 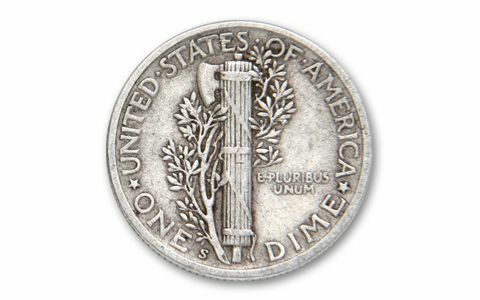 First struck in 1916, the Winged Liberty Dime quickly received the nicknamed Mercury Dime, and it’s stuck ever since. Throughout the Roaring Twenties, they jingled in the pockets of prosperous Americans - one of the most notable, John D. Rockefeller, often gave them away as gifts. 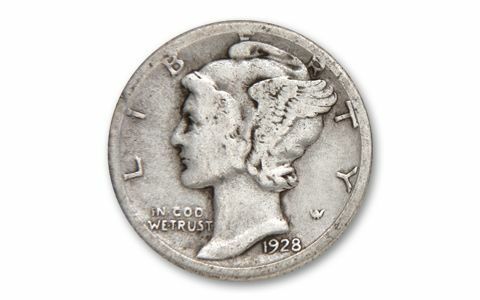 Then, during the Depression, these classic dimes proved to be lifesavers for countless Americans, and most wore down in circulation. In the 60s, when silver prices skyrocketed, countless millions were melted. Today, these 90% Silver Mercury Dimes are incredibly difficult to find in quantities. So we sent our buyer on a quest for these precious silver Mercuries - and he came back with bags for you to secure today. 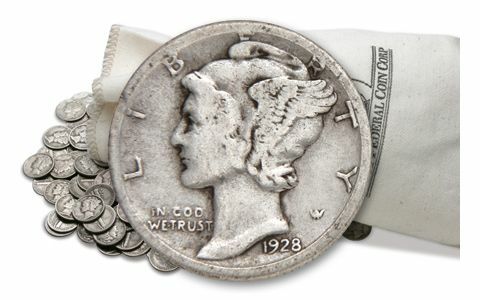 Each order includes Silver Mercuries in Very Good (VG) to Very Fine (VF) condition and comes in a canvas bag. You also receive an album to house your silver dimes.